Experimental winged autogiro, similar in layout to Cierva C-19 Mk.III. 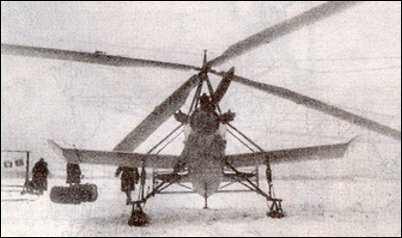 First Soviet autogiro testbed used for systematic study of all construction elements on the design stage, as well as flight performance. It was built in the beginning of 1931. Chrome-molibdenium steel tubes were used for the kingpost and rotor blades spars. Fuselage frame and engine cradle - steel tube frame, wing - wooden. Cover of EA-2 was all-over fabric. 2-EA was a successful aircraft, and after fulfilling the trial program it was transferred to special propaganda aviagroup named after writer Maxim Gorkij. This autogyro was designed by V. A. Kuznetsov, heading a group of engineers. It had a four-bladed rotor and the engine drove a two-bladed airscrew. The fuselage consisted of welded steel tubes. The overall external appearance was quite like that of the C.19.